He laid the foundations of the scientific idea of soil formation as a complex mix of conflicting processes: the evaporation of moisture from soil and crops, the use of substances in the root system of plants, etc. 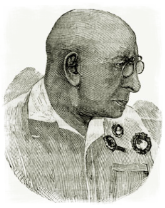 Basil R. Vilyams is academic in AN the USSR (1931) and BP of the BSSR (1929).From 1894 to 1939 was Head of Department at the Moscow Agricultural Academy K.A. Timiryazev "and from 1922 to 1925 was rector of the same scientific institution. Today the works of R. C. Vilyams (both parts of "Total agriculture (1919 and 1922)," Total agriculture with bases of Soil Science "(1927)," Soil Science "(1935) and many others. etc.). are highly valued basic scientific readings in the preparation and improvement of professional staff in the field of world agriculture. In 1949 the founders of the State Farm Boys High School in Stara Zagora undoubtedly seek training highly qualified specialists. The prestige of the eminent scientist serves them as a good reason to choose this particular patron of the school. 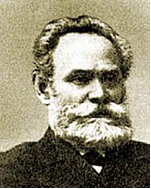 Russian physiologist, scientist Ivan Pavlov (on 26/09/1849 - 02/27/1936) was the creator of the materialistic doctrine of higher nervous activity of the largest and most authoritative modern physiological school, new approaches and methods of physiological research. He was awarded the title of academician AN the USSR Academy of Sciences of Petersburg / 1925 / and the RAS / 1917.
in 1904, Pavlov was awarded the Nobel Prize. He was elected a member of numerous Russian and foreign scientific societies, academies, universities and is recognized as a leading physiologist of world-class (princeps physiologorum mundi). Teaching of Ivan Pavlov on conditioned reflex study in higher nervous activity receiving worldwide recognition and largely determines the development of modern physiology and number of shares of biology and medicine. Pavlov creates the world's only laboratory in which to study the higher nervous activity.